Dr. Simon Patterson is a successful and well-respected neurosurgeon at Central Hospital in the town of Medford. Married, though without children, he keeps himself so busy that one day is not much different from another. Until, that is, he saves the life of the powerful mobster Carlo Vucci. At a dinner in honor of Dr. Patterson, Carlo Vucci introduces him to his alluring wife Christine. Simon is entranced by her beauty. 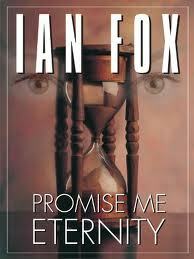 Author Ian Fox continues to surprise readers with his mysterious, intriguing plots that captivate you from the very first page and leave you stunned long after you’ve read the book to the end. One laboratory is arranged with wooden tables were the various instruments and gadgets essential to experiments. One man a scientist and neurosurgeon Dr.Patterson he is truing to make a vaccine for antiaging. Why he would make this vaccine? Why he does this for money or publicity? Dr.Patterson is a dedicated scientist, but he doesn’t seems to like good person, because he chiding his wife and he making something unnatural like vaccine for long life. Not that I am against antiaging vaccine or something similar, I just don’t understand that need to convert natural processes. I think if those processes converted that will cause some anomalies in nature or inside human bodies. However, in the middle of events I was sorry for Dr.Patterson, because his life became a nightmare. It is a great thiller with all those elements like: murder, affairs, greed.